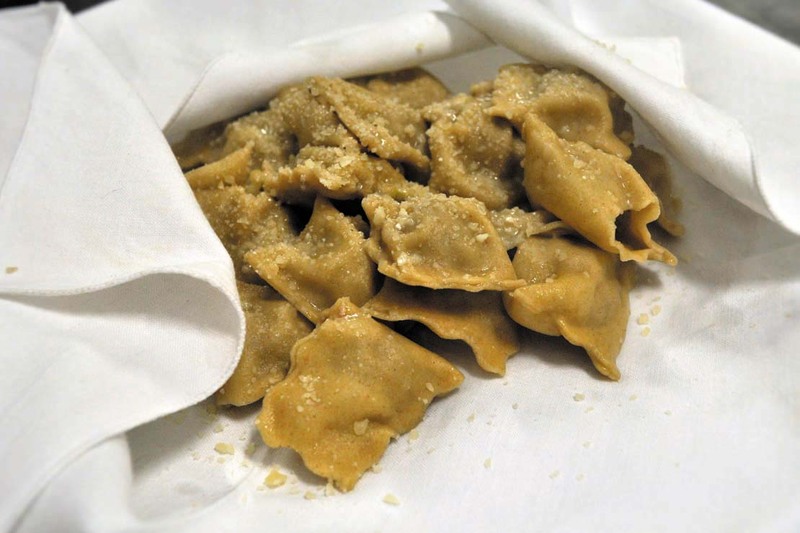 Ravioli was first invented in Gavi! This “grandma” style pasta is filled with cuts of beef, sausage, egg, Parmigiano, marjoram, escarole and borage. Enjoy it “nudo” (served in a linen napkin and dusted with cheese), splashed with red or white wine, or “al tocco” with a slow simmered meat sauce.